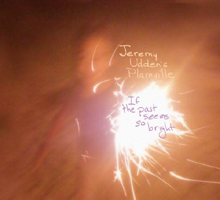 Named after his rural Massachusetts hometown, Plainville is Brooklyn-based saxophonist Jeremy Udden's heartfelt roots music-inspired project. In the New England Conservatory graduate's own words, "I listened to a lot of rock growing up, I continue to do so. So a lot of my music is about reconciling that...." From singer-songwriters like Neil Young to alt-rock icons The Pixies, Udden's musical influences run the gamut, much like those of his peers and fellow band mates. If the Past Seems So Bright follows in the footsteps of the band's self-titled 2009 debut on Fresh Sound New Talent, traversing rustic Americana vistas with cinematic élan and indie rock credibility. 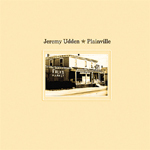 Udden's seamless integration of simple country, folk and rock melodies into a sophisticated jazz context lends Plainville's improvisational excursions a cohesive sensibility, whether crafting pastoral ballads or tumultuous rockers. Most of the songs were written on either guitar or keyboard, lending their tuneful, pop-influenced themes an organic, naturalistic feel. The wistful opener, "Sad Eyes," highlights the concordance between Pete Rende's luminescent Fender Rhodes ruminations and the psychedelic overtones of Brandon Seabrook's reverb-laced guitar, weaving a serene underpinning for the leader's breathy alto musings. The evocative "Film" exudes a similarly bluesy mood, while "Thomas" and "Bovina" conjure bucolic panoramas with folksy variations. "Stone Free" and "Hammer" provide dynamic contrast to the date's laidback demeanor, delving into the primal immediacy of rock; the former spotlights the pyrotechnic virtuosity of Seabrook's metallic fretwork, driven by Eivind Opsvik's undulating bass lines and RJ Miller's pulverizing kit work. Ebullient surf licks accent the countrified shuffle of "Hammer," with the post-rock ambience of Rende's Prophet synth offering a stroke of sonic brilliance to the number's down-home twang. Throughout the date, Udden constructs dynamically inventive extrapolations from unadorned themes, soaring with understated euphony over the lilting banjo arpeggios of "New Dress" one minute, caterwauling with acerbic abandon on "Stone Free" the next. The session also includes appearances from two guest vocalists, whose singing lends palpable conviction to the band's populist aspirations. "Bethel" features Nathan Blehar's soulful wordless harmonies, while the sober "Pause at a Lake" concludes the record with a poignant reading of Udden's lyrics by Justin Keller. 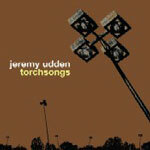 Overblown jazz fusion clichés are largely a thing of the past among younger performers like Udden, who have come of age exposed to a diverse array of genres and aesthetic approaches; Plainville is a prime example of how once seemingly disparate styles can inspire subtly tasteful new hybrids. If the Past Seems So Bright enhances sophisticated jazz structures with the emotional candor of contemporary roots music, expanding the possibilities of both traditions in the process. Track Listing: Sad Eyes; New Dress; Stone Free; Bethel; Hammer; Thomas; Film; Bovina; Leland; Pause at a Lake. 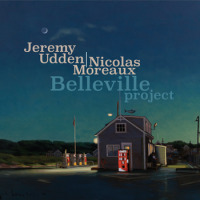 Personnel: Jeremy Udden: alto and soprano saxophone, clarinet; Pete Rende: Fender Rhodes, pump organ, Prophet, Wurlitzer; Brandon Seabrook: banjo, guitar, 12-string guitar; Eivind Opsvik: acoustic bass; RJ Miller: drums; Nathan Blehar: nylon-string guitar (2, 6, 10) voice and guitar (4); Will Graefe: steel-string acoustic guitar (8); Justin Keller: voice (10).